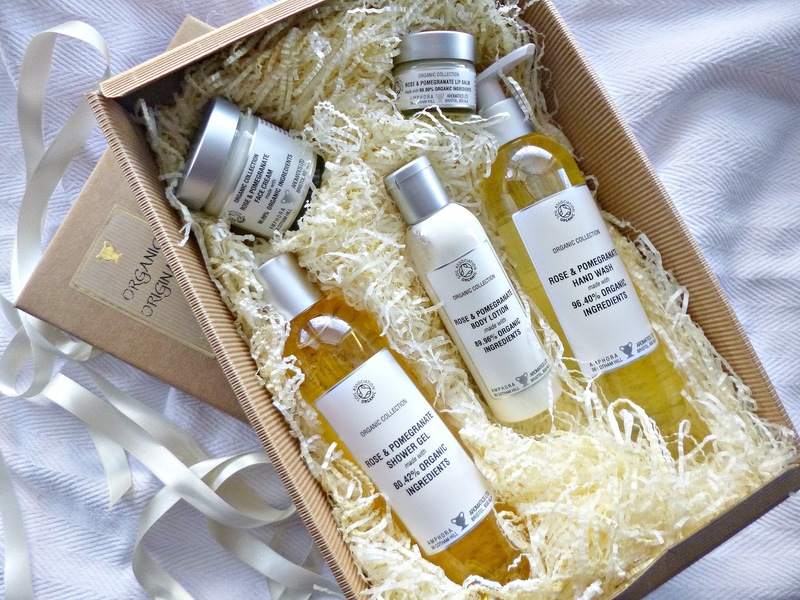 For my second gift idea post I have chosen to share this super gift box from Amphora Aromatics, this is a lovely substantial gift which I really like, all too often gift boxes can be a little deflating once you realise that they are mostly packaging, but not so the case with this. The Organic Originals box contains five full sized products that are certified organic by the soil Association and are from the Rose and Pomegranate range. You get a very generously sized lip balm, a face cream, shower gel, body lotion and hand wash. All the products have a soft fruity scent that is not overpowering. All the ingredients are great especially when you consider the price of the box and all of the products perform very nicely and do exactly what you would expect, I am in love with the hand wash as it is so soft and gentle (not at all drying) whilst leaving the hands nice and clean. I think this is a great gift especially if you are looking for something that looks really impressive but doesn’t cost the earth, the products come very nicely packaged in a reusable box with a gorgeous ribbon, I think most people would be pleased to get one of these for Christmas!